I tried to find the right words for this, but couldn’t think anything other than “various”. Tanya is leaving. Tanya, whom we have been helping for several years. Cancer, fourth stage. The young son is still in an orphanage, the mother can’t do anything anymore. Endless operations, chemos, more chemos. 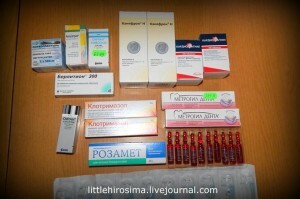 She has more pain, fever has been constant for a while, she’s more frequently unconscious. Our friends managed to obtain an effective painkiller for cancer patients. They make her sleep all the time. She only has days left. Perhaps hours. A priest was summoned recently. And we also found a caregiver for her. It’s our blind Vika’s mom, Sveta. Sveta spent many years caring for her mother. When we met in the spring of ’15 in Lugansk, in addition to the dead son, ill and blind Vika, she was taking care of her bed-ridden mother. 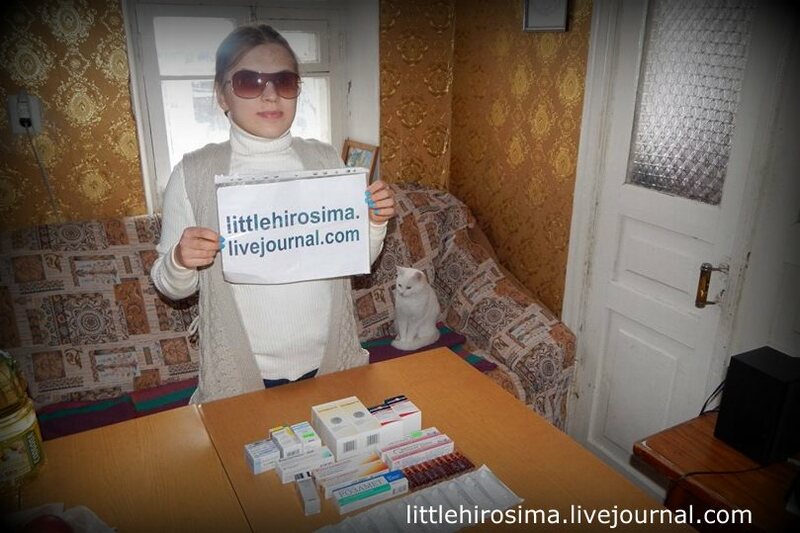 Vika’s grandmother and Sveta’s mom died when the two were in the TB clinic in Moscow. Now Sveta helps us with Tanya. Vika herself is currently in a hospital, undergoing a planned treatment and examination. I hope all is well. 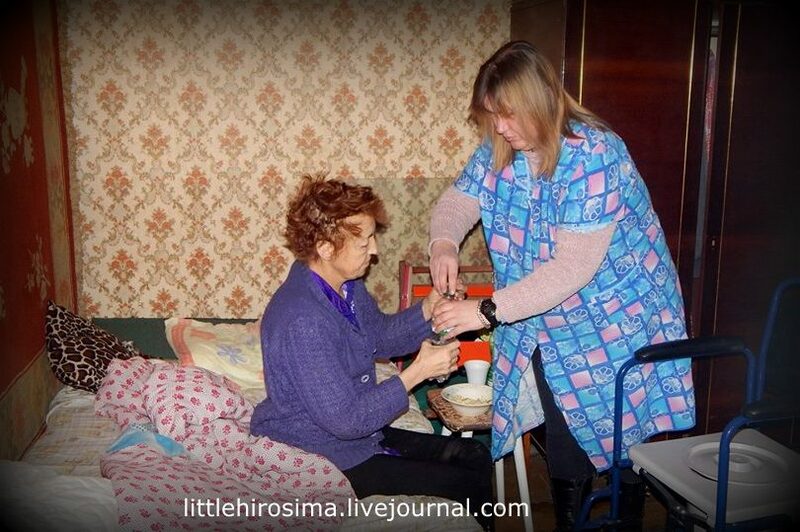 The photos below were made by our friends who went to visit them around New Year to bring food and medications. For everyone who is on this page for the first time, you can read more about Vika by clicking on the “Vika” tag at the bottom of this post. A young and beautiful girl with diabetes. During the war she had a bout of TB. Unfortunately, she’s now blind. Thank you everyone for participating in this effort! 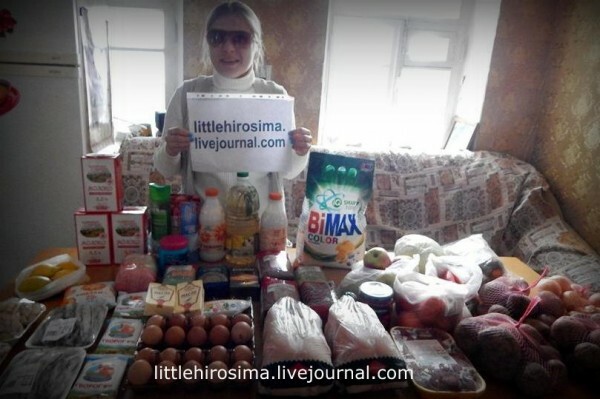 If you want to join the aid effort for the people of the Donbass, please write me in person through LiveJournal, facebook, V Kontakte, or email: littlehirosima@gmail.com. Paypal address: littlehirosima@gmail.com. Please label contributions for Vika “Vika”. This entry was posted in in English and tagged cancer, diabetes, donbass, people we helped, Vika, war, zhenya by Михаил Ясинский. Bookmark the permalink.